Cloud Computing seems to be an interesting term. Equally is, when you host something on cloud. Hosting MS Axapta and MS Dynamics Navision on cloud ensures companies get to make full use of their business software and reduce the burden that otherwise would have been unavoidable. Cut down on operational costs and other capital expenditure related to software, hardware and implementation. Pay for what they use, accelerate time-to-market and also cut down on data center facility costs. Adjust to changing resource demands quickly and cut down on unused capacity. Maximize resources for greater efficacy and provision and de-provision resources dynamically. Benefit from shared hardware and increase peak-load capacity. Provide access from anywhere using any PC or mobile device. Centralize management and reduce energy use and physical footprint. Adapt to growing business needs, scale up and down to meet ever changing demands. Acclimatize to ever changing workforce and choose from hybrid cloud solutions. MS Axapta and MS Dynamics Navision are the backbone of MS Dynamics and hosting these on cloud will bring to you the benefits mentioned above. Hosting on Azure ensures Dynamics ERP gets easily integrated with other applications as well. This makes reporting and other functions run smoothly. It also makes it easy to perform and implement updates. In case the need arises to host other applications as well, Azure is more than capable of doing the same. 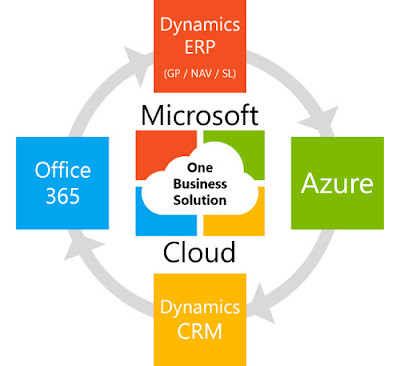 Companies across Australia can get in touch with their nearest Microsoft Dynamics Partner for further enquiries.